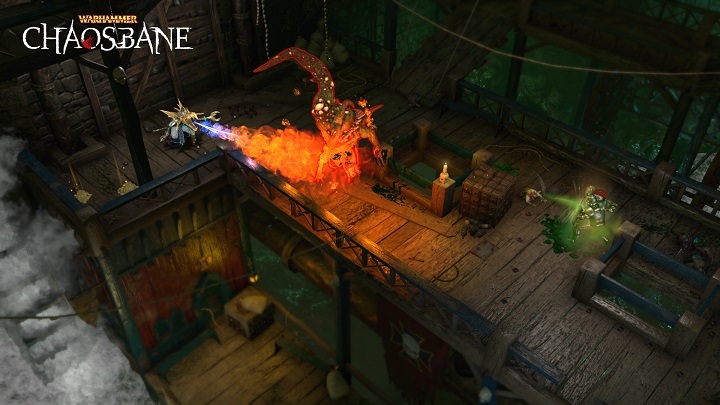 Warhammer: Chaosbane, the Diablo alike from Eko software and Bigben Interactive gets a major pre-release info frop ahead of its June 4 release. There will be two closed betas – only people who have pre-ordered the game will be able to access – the first beta will take place in March and the second one in April. Additionally anyone who pre-orders will get an experience bonus for their character’s progression and four legendary crates. The game will release on June 4, but anyone who pre-orders the Deluxe or Magnus edition will be able to play the game four days earlier on May 31. Pre-orders are up now on PC and Xbox One, while PS4 owners can pre-order from tomorrow; while you’re waiting for that have a look at the trailer below.